Together, they must combat an insidious threat that will decide supremacy of the London skies, but their success may unleash a far greater threat. An unmitigated triumph--pure and simple. --Danny Graydon. Art by Gene Ha. Written by Alan Moore. 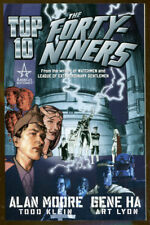 NY: Wildstorm Productions/DC Comics, 2005. Stated second printing. 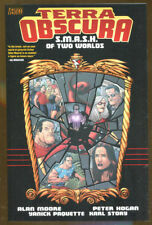 6 3/4" x 10 1/4" trade paperback is in fine, as new condition. NY: Vertigo/DC Comics, 2014. Stated first printing. 6 3/4" x 10 1/4" trade paperback is in fine, as new condition. Collects "Terra Obscura Vol. 1" #1-6, "Terra Obscura Vol. 2" #1-6, and "ABC A-Z: Terra Obscura and Splash Brannigan" #1. Title: Nemo: Heart of Ice (Nemo Trilogy 1) (Hardcover). Binding: Hardcover. Manufacturer: KNOCKABOUT. Language: English. Weight: 358.00 grams. Length: 261 mm. Width: 175 mm. Publisher: DC Comics. Format: Book. Condition: New. Helpful Links. Art by Gene Ha and. Zander Cannon. by Alan Moore. Stated third printing. 6 3/4" x 10 1/4" trade paperback is in fine, as new condition. Collects "Top 10" #8-12. "Nemo: Heart of Ice" by Alan Moore and beautifully-illustrated by Kevin O'Neill. Hardbound Edition. First Printing, February, 2013. Printed in China. 6.875"x 10.5". Overall Like New condition. Healthy binding with crisp pages and complete. It is preowned but in great shape; minor shelf wear. It is paperback version of the omnibus. Cover shelf wear with scratches, rubbing, thumbing creases, minor edge bumps/wear, except for a one inch long front lower edge one, light corner wear, and fanning. Spine end light bumps, an edge dent with a 1/2 inch creases, and binding is tight. Page corner wear slight, thumbing creases to some pages, ink transfer to the inside of covers & first & last page, the page margins have warping from possible moisture exposure, and no markings noticed. Ships fast with tracking number. No signs of use or wear. Great gift or collectors item. Mylar Protective Cover. See Photos For Detail. 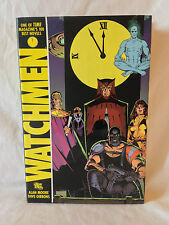 Watchmen by Alan Moore Hardcover Book Free Shipping! Author Alan Moore, Dave Gibbons. Format Hardcover. IF THE COMIC HAS A HIGH GRADE THE COMIC WILL BE ANYWHERE IN BETWEEN AN 8.0 -10.0. IF THE COMIC HAS A LOW GRADE THE COMIC WILL BE ANYWHERE IN BETWEEN AN 5.9 AND DOWN. Written by ALAN MOORE. THE LEAGUE OF. Paperback Novel is in LIKE NEW, UNREAD condition! Second Printing. Printed in Canada. Color by BEN DIMAGMALIW. Art by KEVIN O'NEILL. Nemo: Heart Of Ice by Alan Moore. Publisher: Knockabout Comics. Kitchen, Dining, Bar. Published In: United Kingdom, 05 March 2013. Format: Hardback, 56 pages, UK ed. Health & Beauty. Nemo: Heart Of Ice by Alan Moore Hardcover Book Free Shipping! Nemo: Heart Of Ice by Alan Moore. Title Nemo: Heart Of Ice. Author Alan Moore. Format Hardcover. Rolling Stone. He was an artist for the UK anthology2000 AD, for which he contributed a large body of work from its first issue in 1977. BEST PRICING. We stand behind our products.